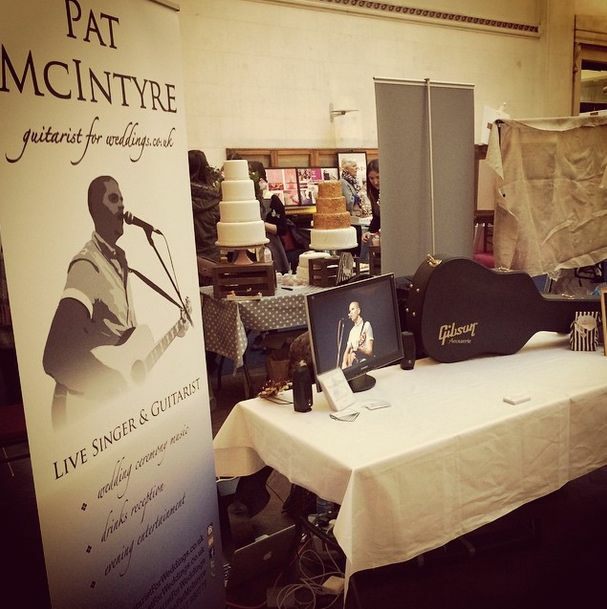 I had a great time playing guitar at the Chosen Wedding Fair last weekend! Lots of fantastic suppliers turned up to exhibit – and despite the wild Welsh weather in Cardiff, lots of brides and grooms-to-be turned up to get some wedding inspiration. 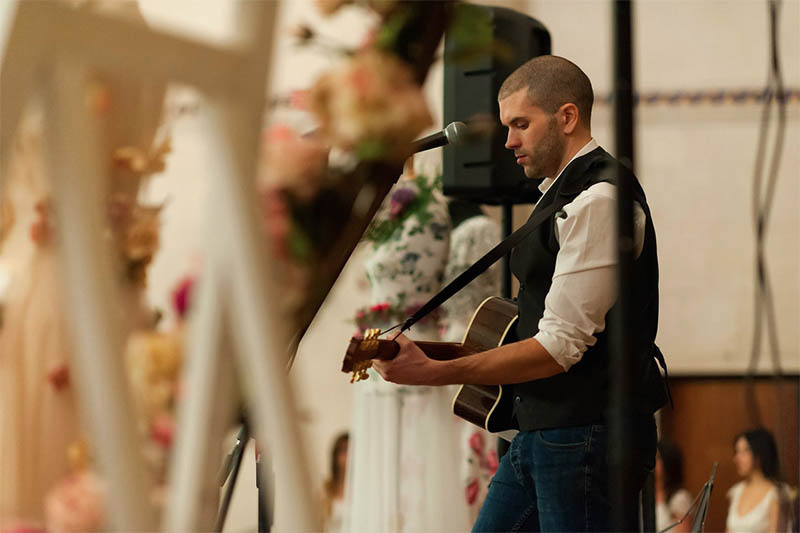 The space at Portland House in Cardiff Bay was great – particularly good for me as there is a large stage area where I was able to set up my gear and perform some acoustic songs to the whole wedding fair. I also exhibited at the fair, displaying my showreel and offering demo CDs. I have another announcement coming up regarding Portland House – more details soon! The Little Wedding Space is Bristol has now closed it’s doors to the public. A pop-up wedding exhibition, the LWS was only open for three weeks, but in that time many wedding couples visited to get inspiration and ideas for their big day. I was honoured to play at the launch night, and would like to thank The Little Wedding Helper aka Kirsten, and Ruth Garner Photography for inviting me to play, and including my demo CDs in the inspiration corner. Keep an eye on the LWS website for details of the next pop-up! The next wedding fair I’ll be performing at will be The Vintage Wedding Fayre in Bristol on the 29th March. If you want to come down to hear me sing and play, and chat all things live wedding music, pop down to Freemason’s Hall, Bristol from 11am til 3pm. This entry was posted in News and tagged acoustic, appearances, Bath, Bristol, Cardiff, fair, fayre, guitar, guitarist, idea, ideas, inspiration, live, music, musician, singer, singing, Wales, wedding, weddings by Pat McIntyre. Bookmark the permalink.